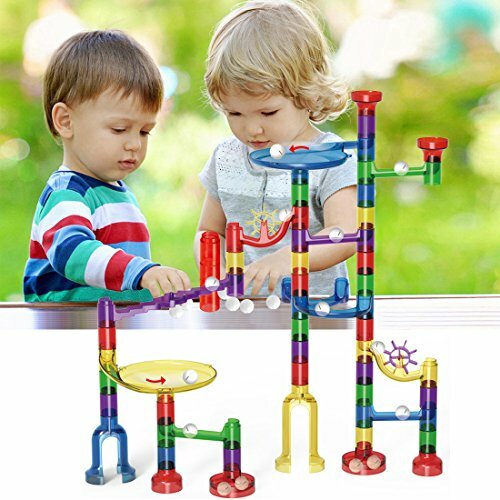 Marble runs building blocks toys - Encouraging children imaginations,explore their creativity,and improving problem solving skills. No fixed single assembly, loads of different attachments and ways of building to exercise kids fine motor skills and logical and sequential thinking. 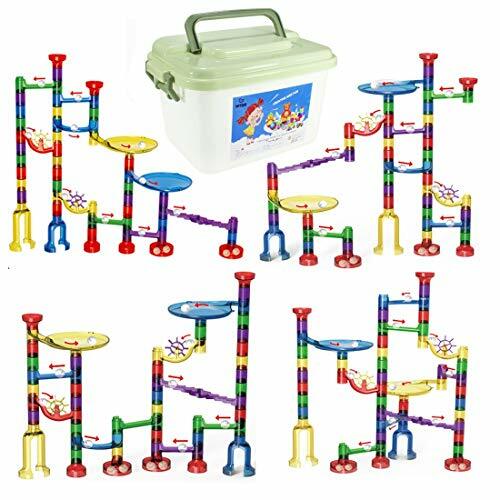 Learning Toys STEM Marble Run - Designed to meet each stage of a child's development and encourage learning through play. 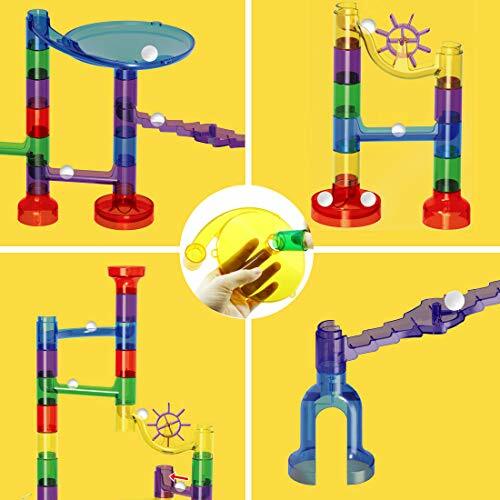 Marble run makes learning fun, each of the different blocks has a different function help childrens practice their engineering thinking,develop hand-eye coordination, creativity, color and shape recognition, spatial imagination ability. 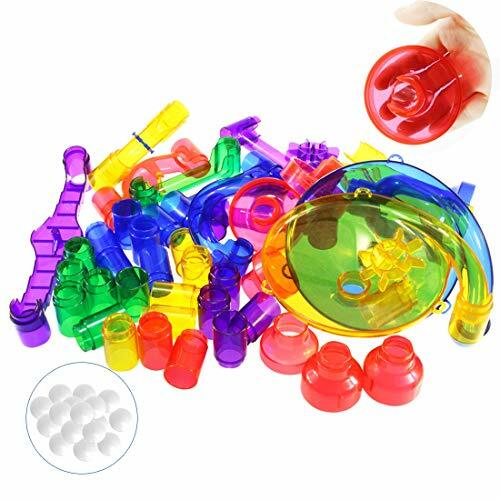 Safe Marble Set for Kids - This building toy is made of solid transparent ABS, absolutely non toxic, not easy to break or snapped. Smooth edges avoid scratching hands. Pieces stay tight, not easy to get loose when play with it! Gift for Boys and Girls - As a gift for your kids such as christmas and birthday also adults can play with kids,assembling these blocks with your kids and you can make wonderful memory together so enjoy the family time. 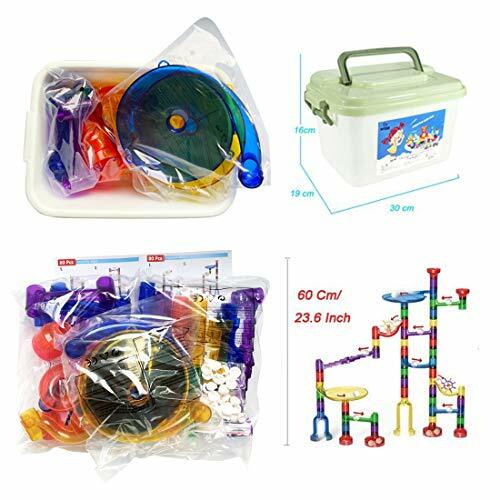 Big Marble Race Deluxe Set - height 60cm tailor-made heights for learning build, kids play much more fun! Build various tracks and see marbles go up, down, all around, and fast! Tracks include centrifugal funnels, U-turn slides, windmills, straight slides and gradient slides. Not for children under 3 yrs. Warranty: exchenge or refund if you didn't like it. 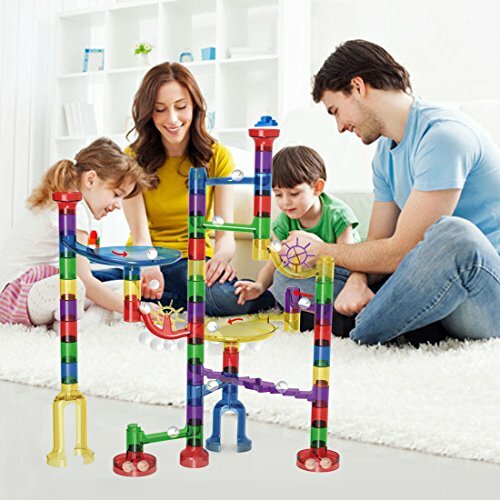 Use your imagination and build amazing marble towers with WTOR marble race game! Race your marbles through the twisting tracks to see who can reach the bottom first. Lift the barrier to start the race, twist around the 'loop the loop' and speed through the twisting tracks. 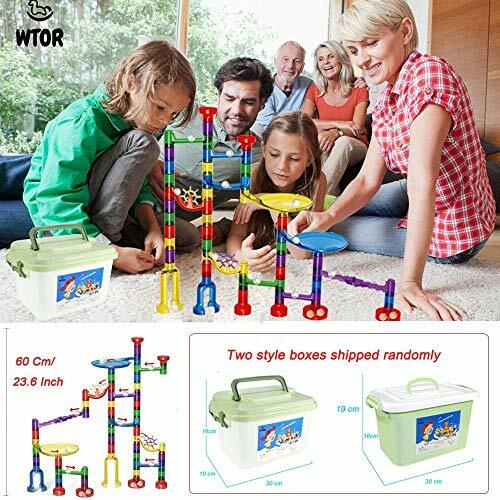 Your kids will love to play with WTOR Marble Run Toy Set! Use their imaginations to create different pipelines and watch the marbles go fast through the track! Develop their STEM skills and also enjoy their wonderful time with this building puzzle toy set! CHOKING HAZARD -- Toy contains a marble. 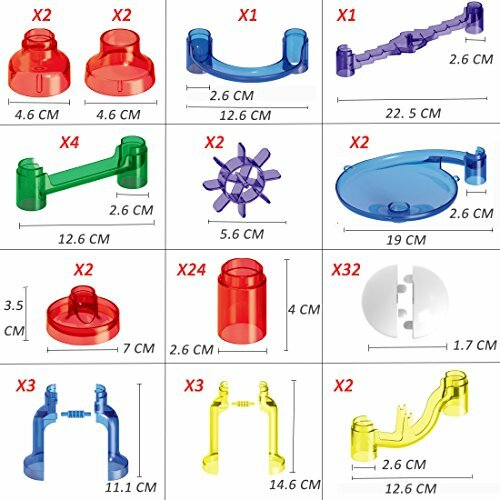 Small parts.Not for children under 3 yrs. If you purchase WTOR product and don't completely satisfied with it please feel free to contact us. So buy with confidence in WTOR.